The new released Sony Alpha a7R III now in stock at Cardinal Camera via Amazon.com. Cardinal Camera is a Sony USA authorized dealer. Coming with full Sony USA warranty. See full Sony a7R III Availability in stock tracker page. Sony a7R III now In Stock at B&H Photo Video ! 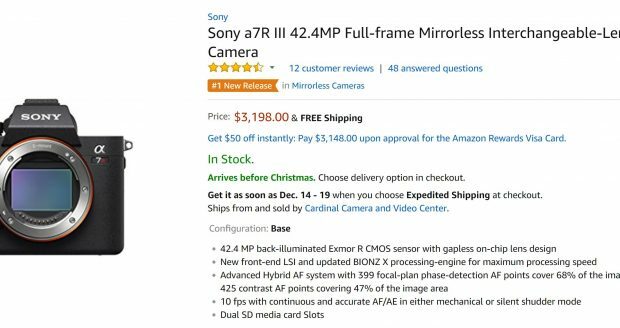 Sony a7 III Body now In Stock at Adorama ! Sony a7 III Body Currently In Stock at Focus Camera ! Sony a7 III Body now Back In Stock at Focus Camera !